Rear breaks have a loud squeak. The governor was removed before I bought it. 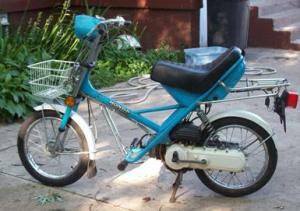 It had about 1200 miles on it when it was stolen. The front wheel was locked when it was stolen. There were painting tools in the red basket on the back and a pair of shorts under the seat. Reward. Parked in plain sight in the Southern Shopping Center parking lot across from Chartway Federal Credit Union. Stolen between 6:50 and 8pm. 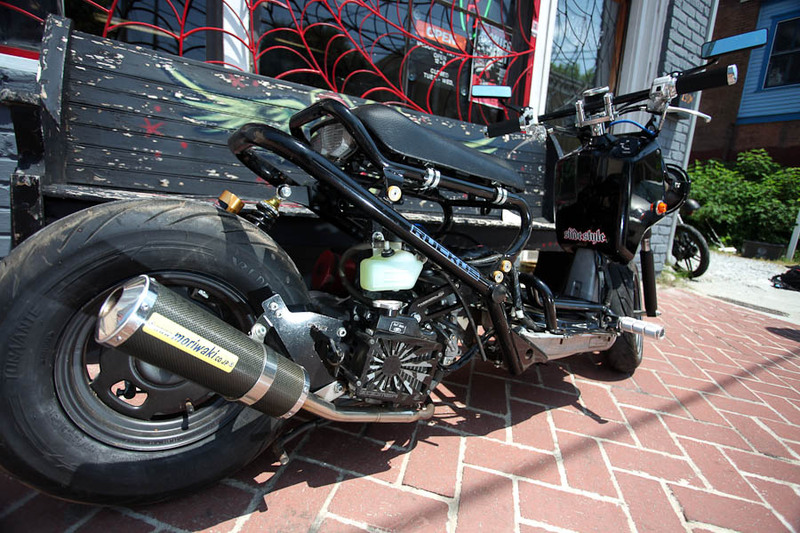 Scoot has Shinko front and MAXXIS rear tires-sizes are weird and hard to find so will probably remain. 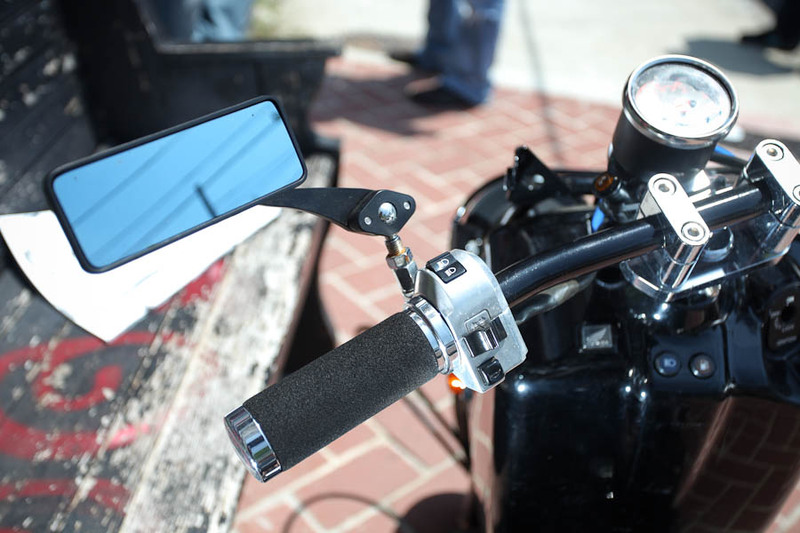 Battery Tender adapter under topcase mount plate, Stebel horn installed as well as USB charging cable hardwired for GPS use. Immobiliser was ativated so a new CDI would have to be installed. Reward. 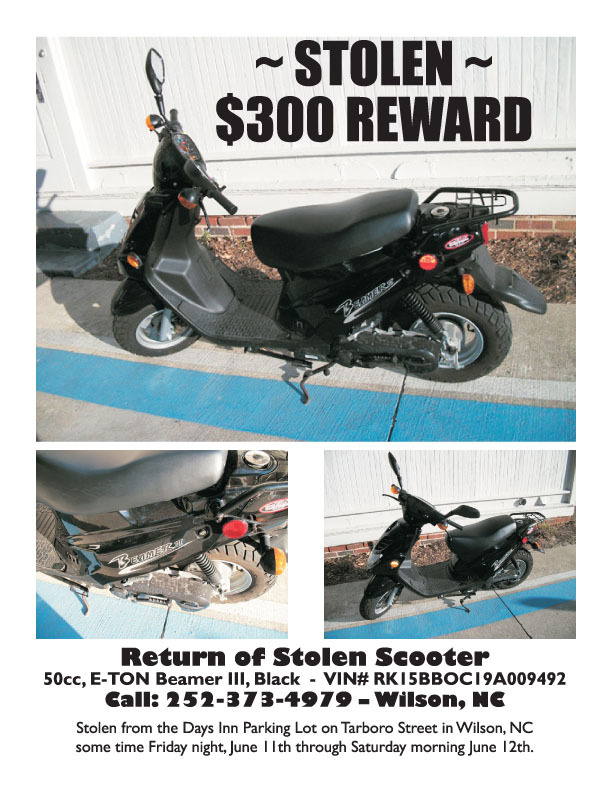 Scooter was stolen from Deer Run Apartments on June 17 between 12:30 am and 7:30 am. It was stolen from the parking lot of 555 Worthington St. Springfield MA. Sunday June 27 around 6:30 PM. The front handle bar cover is cracked on the right side. 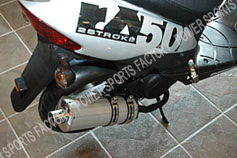 It carries a reflective silver tribal decal above the registration sticker on the back. 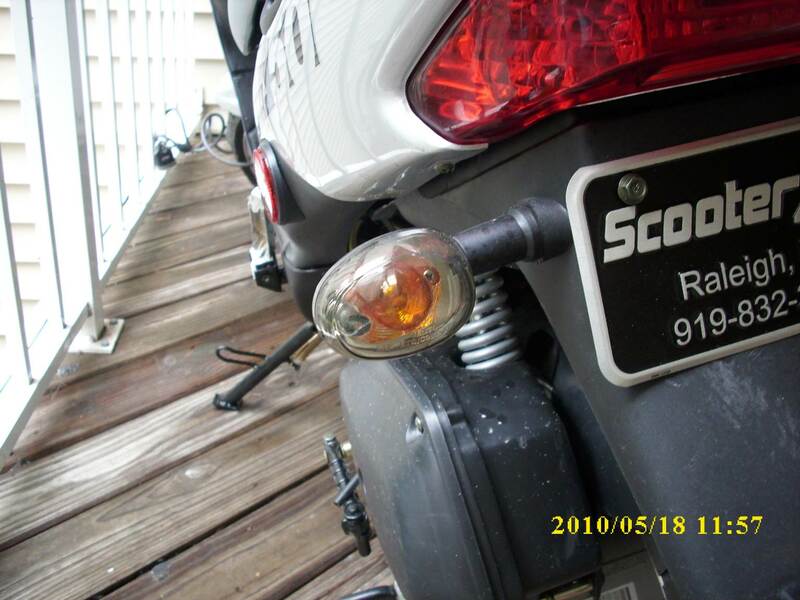 The whole right side of scooter shows a few scratched caused by a little accident a had a few years ago. 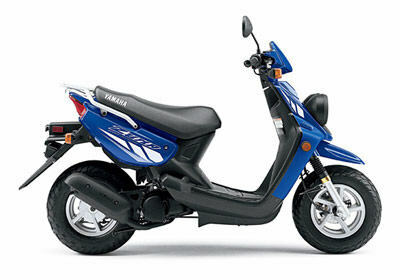 Any information about the whereabouts of my scooter will be greatly appreciated. The entire event was witnessed and a police report was filed. 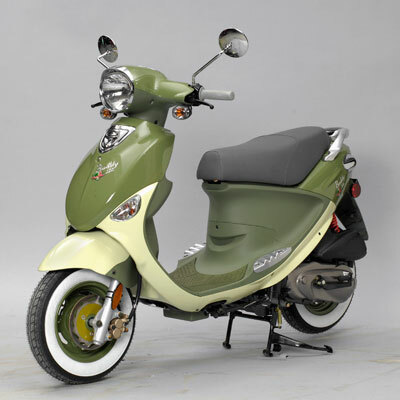 There were not many of these scooters made in this color. 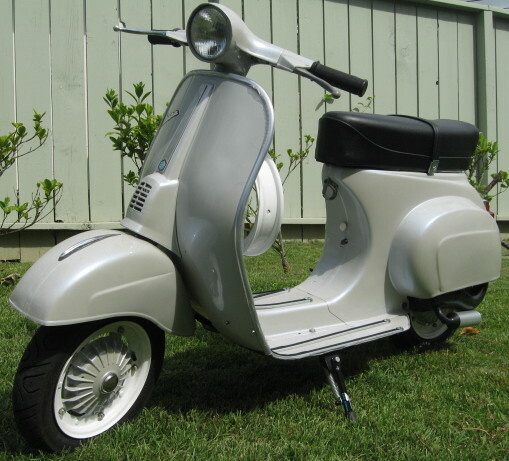 In addition the scooter was dropped and has a right bent brake lever. Thank you for any help! 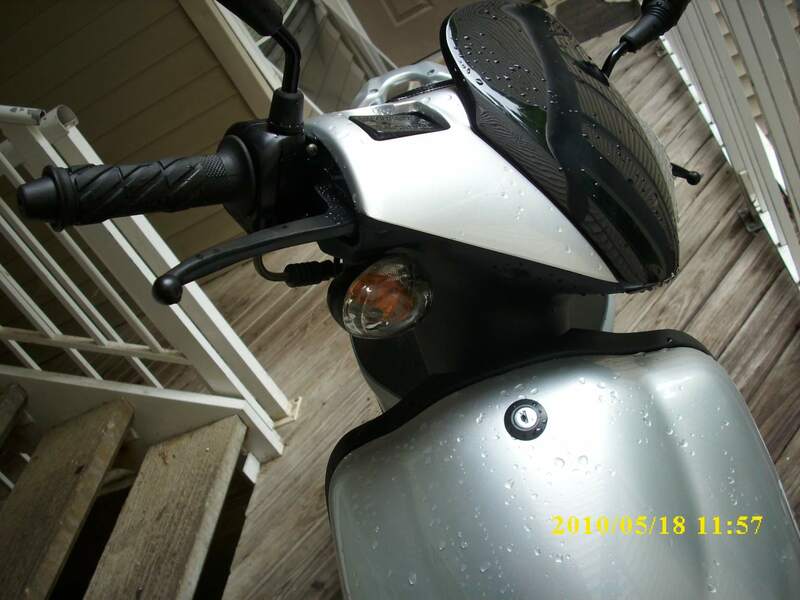 Scooter has some damage on the left side, left brake gaurd missing, scratches on left side of trunk, all down the left side of the scooter. I had a little accident. If someone sees it please Notify me or the St Petersburg Police Department. 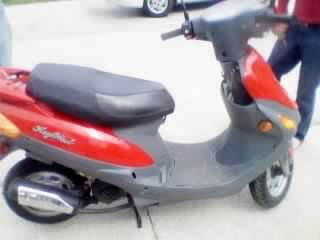 Tiffany Wilson and her boyfriend Jason stole scooter-not paid for; believed to be in Grand Island NE with mother, Debbiei Wilson-Durio or Coile Wilson she uses; Tiffany wanted by state courts; has new scratches; both lied and used owners of bike; disappeared suddently-if seen or know whereabouts plese contact! 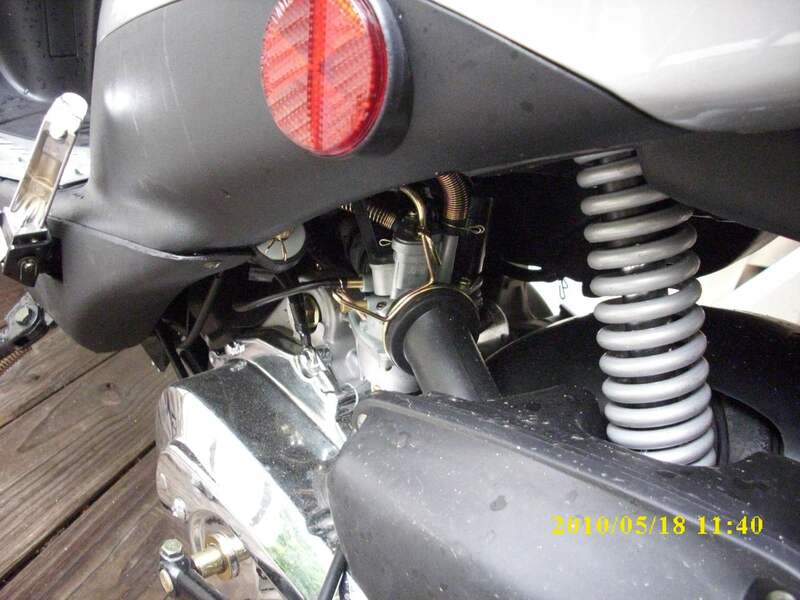 Front fender is missing, metal crash bars all around, top case, all seats and pads black, rims black, medium windsheild. Whoever the culprit was caught on tape but was not clearly made out. Poor Fool! 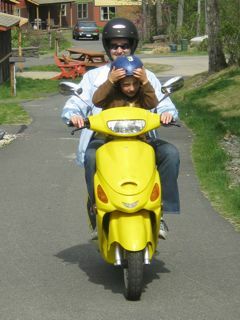 The scooter was not running neither kick or electric start. Have Fun with that! THEY TOOK IT OUT OF MY CAR PORT AT COLLEGE. THIS SCOOTER MEANT A LOT TO ME. I HOPE THE GUY WHO STOLE IT DIES. 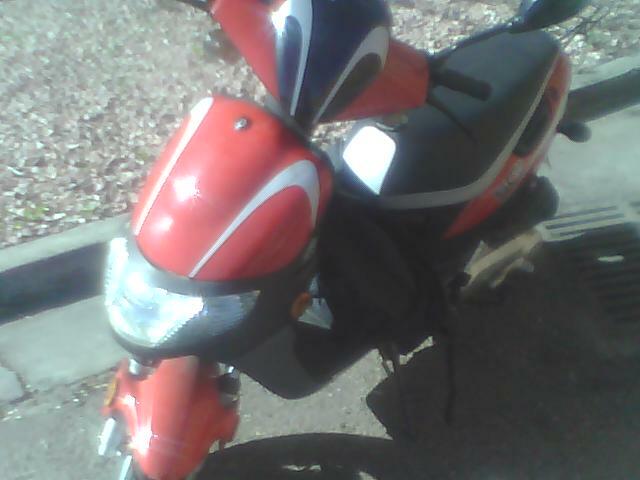 Scooter not paid off; has expired NM tags; believe a Tiffany Wilson (has warrants) and her boyfriend Jason took off out of town with it-has scratches from their use of it; neither has valid license and no registration or title-call Amber if seen. Tiffany hiding from law enforcement. 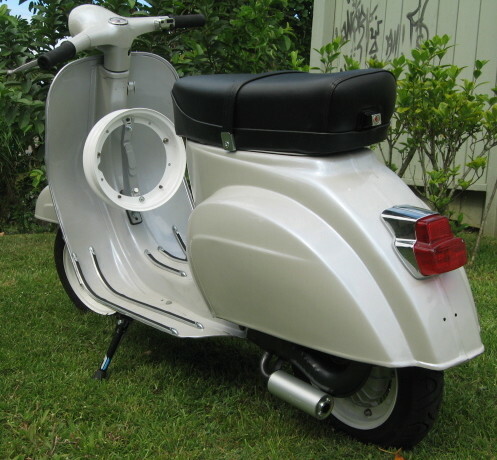 The scoot in the middle of the picture, now has a matching horn cast, no mirrors or mounts, and a black seat with duct tape. 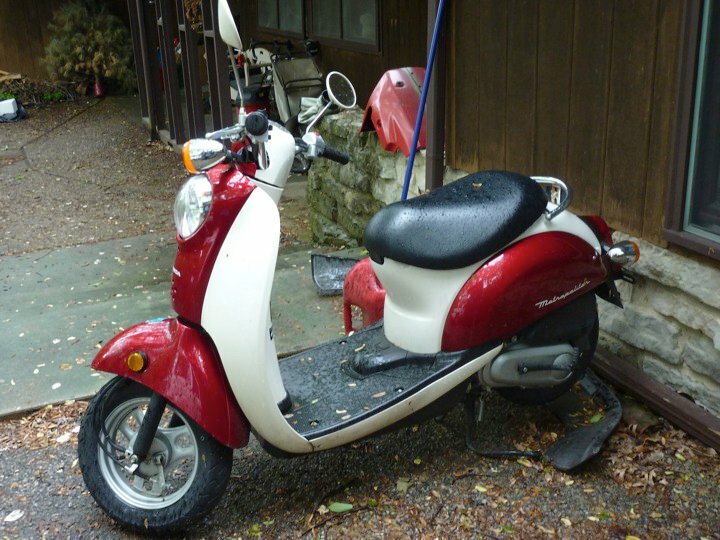 the keys to the scooter were stolen from my dining room. 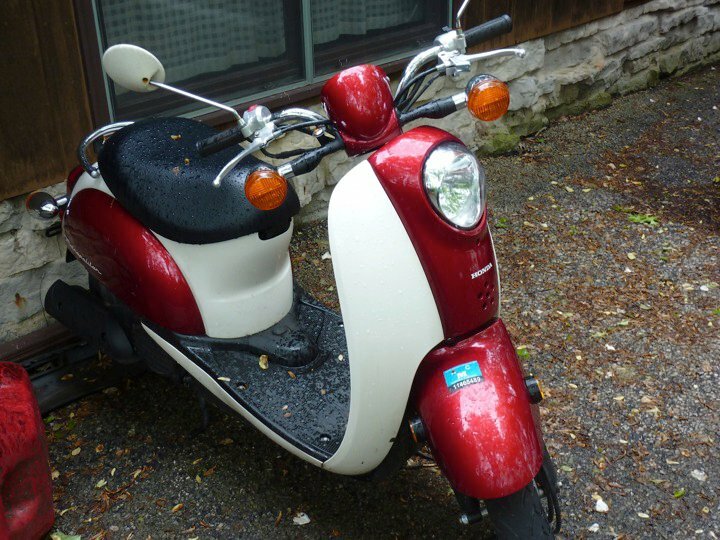 the scooter title is still with me, along with the spare key. has been put back together with screws. uhbuff the front tire u can see where i screwed the plastic back together, with some brackets. thanks. 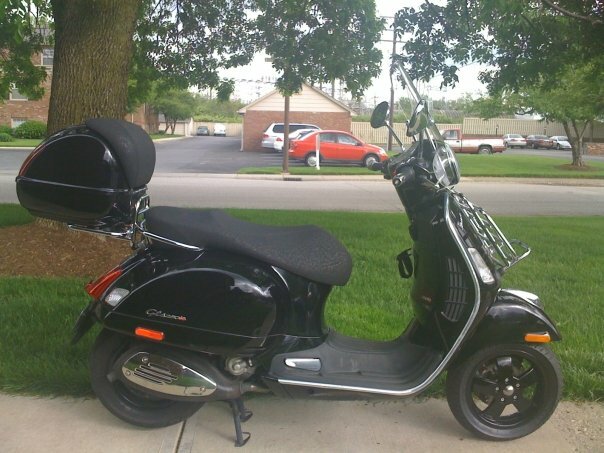 Stolen from Ruby Tuesday on Airport Road. 2 small tears on left side of seat. It was actually stolen in 2010. The dropdown menu offersno such option. O.K... it was equipped with the NCY under seat storage mesh. The odometer read 11,ooo miles. 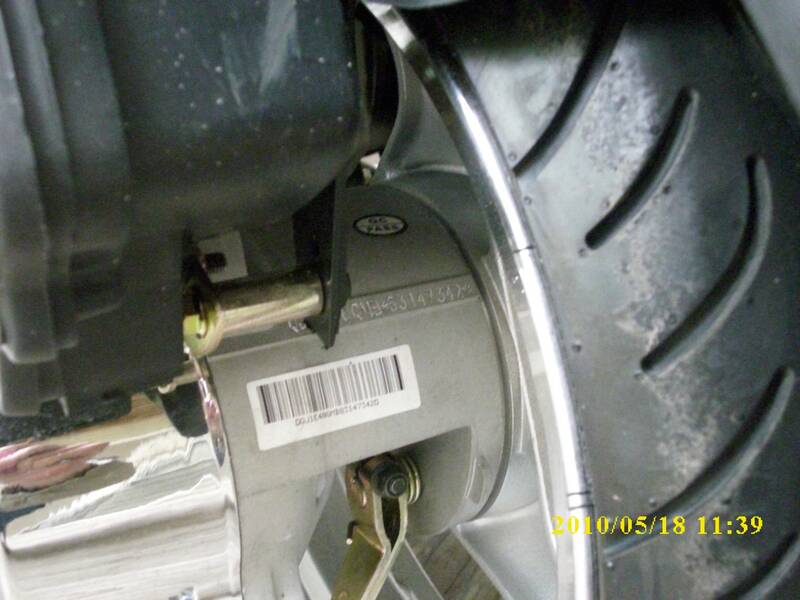 Rear tire was NEW, front tire was very worn. stolen 5/29/10...there's no option for 2010 on the drop down menu. I only owned it 2 weeks! 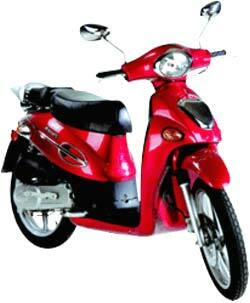 Please help me find my scoot! It was stolen on May 28th 2010 (2010 was not in the drop down list so I chose 2009) This is a brand new Yamati RX50 just bought on May 17th. It has just 47 miles on it. 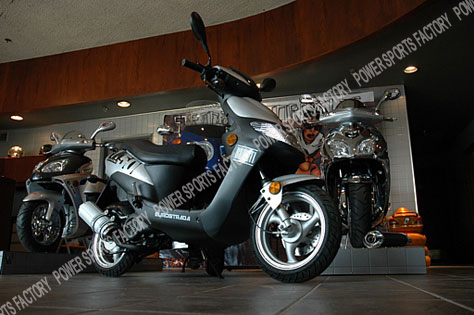 It looks exactly as in the image, which is from http://www.powersportsfactory.com/yamati/psf_rx50.htm Please help me find it. Thank you so much for your effort. 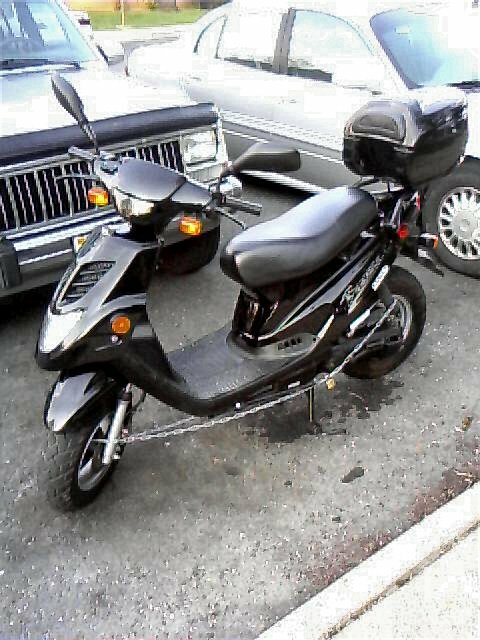 ROBBERS CUT THROUGH BACK FENCE AND STOLE MY MOPED/SCOOTER ON MAY 21.REPORTED TO EAST HARTFORD POLICE DEPT. ROBBERS CUT THROUGH BACK YARD FENCE AND STOLEN FROM THE BACK YARD.REPORTED TO EAST HARTFORD POLICE DEPARTMENT MAY 21,2010. 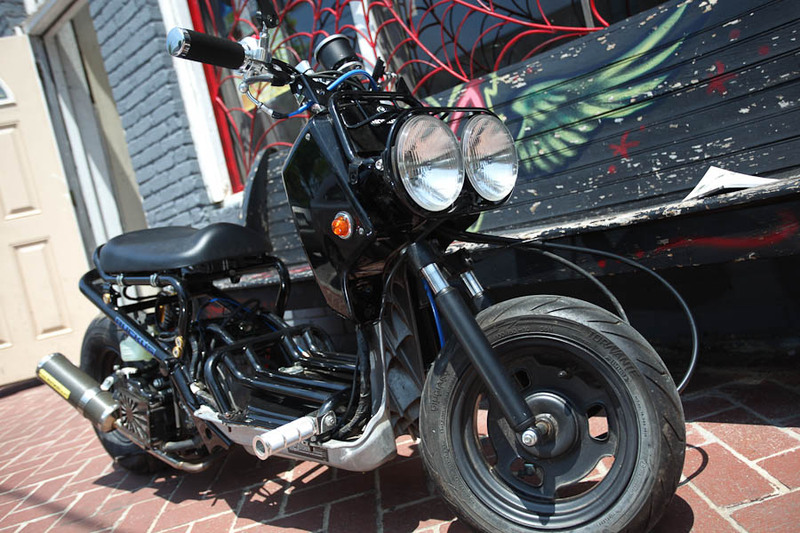 Stolen May 25th, 2010. Taken right out of my garage - doesn't have any keys with it. Great condition and I want it back! Front wheel was locked. OnGuard lock around the body. Front mirrors are off (taken off after every ride -- has been broken before). Just hit 1500 miles over the weekend. In perfect condition, never wrecked. Has a silver rack on the back (just installed). Actually 2010 but not on the drop-down menu. 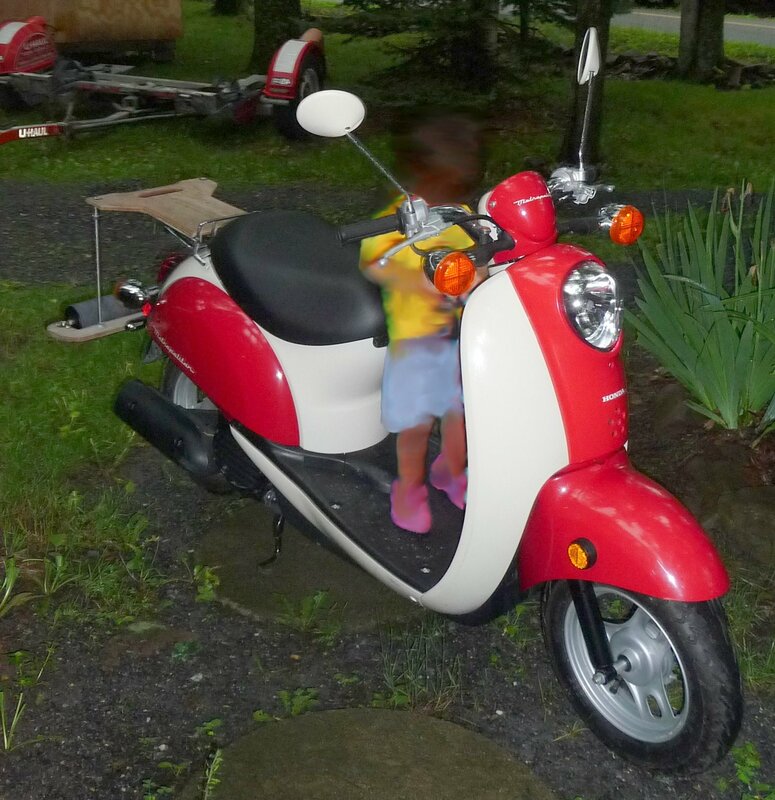 Stolen between 9 and 11 AM from Westhampton Rd. hill between West Farms and N. Loudville. 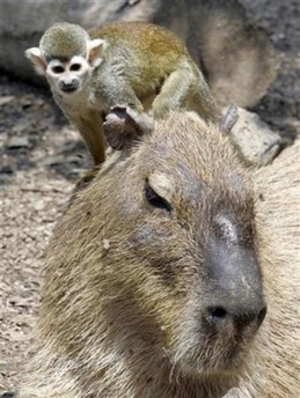 I left it b/c it had a flat tire and I caught a ride to work. Thief has no charger (it's electric folks!!) or keys. Probably dumped in a backyard or shed when they realized it wasn't gas. Actually stolen 5/24/2010 but did not have that choice on drop down menu. 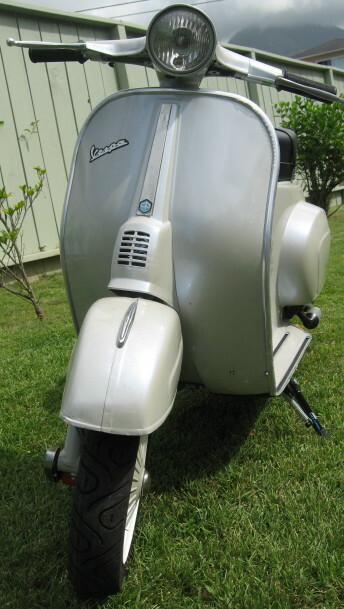 Scooter is in perfect condition. Thief did not take keys, and steering wheel was locked when stolen, so they may have broken that and kicked started it, not sure though. 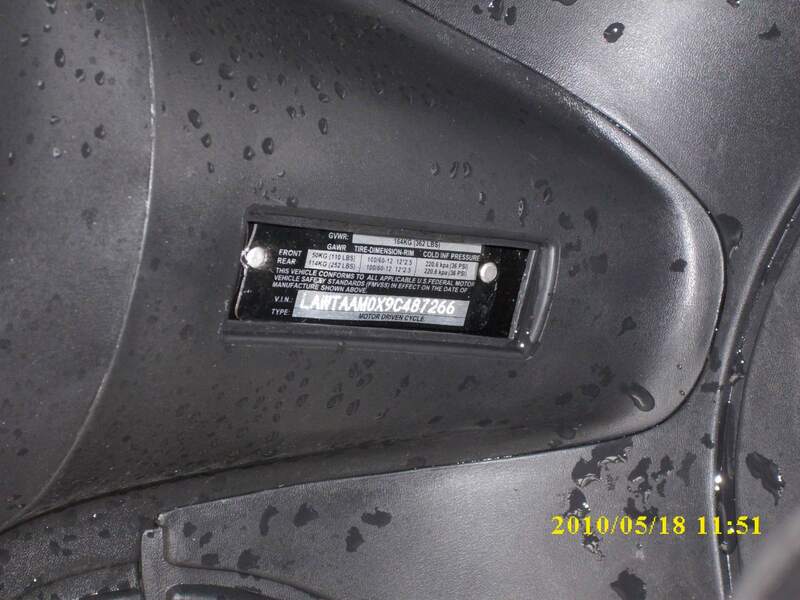 Also gas tank is under seat and seat is only openable with key, so they have have broken that off as well. Thanks! Stolen this year, 2010, not 2009. The trim from the light is gone and has two dents in front. 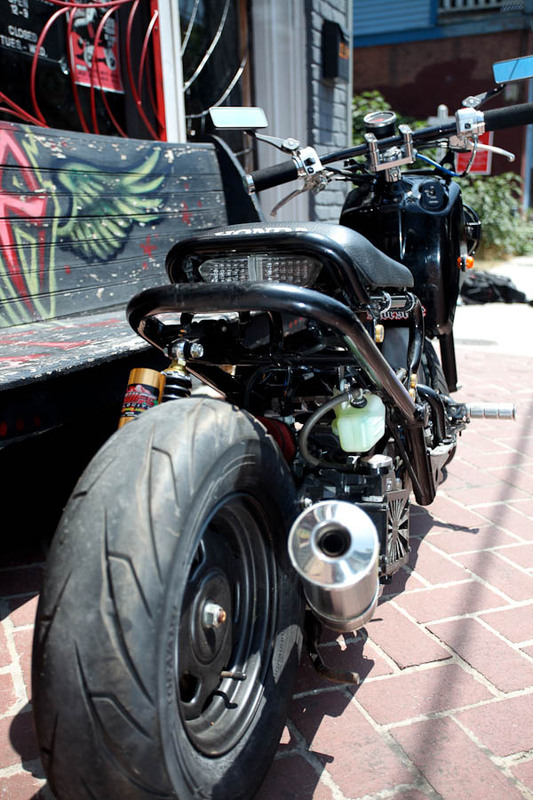 Stolen May 1 2010 from my apartment complex in East Austin. 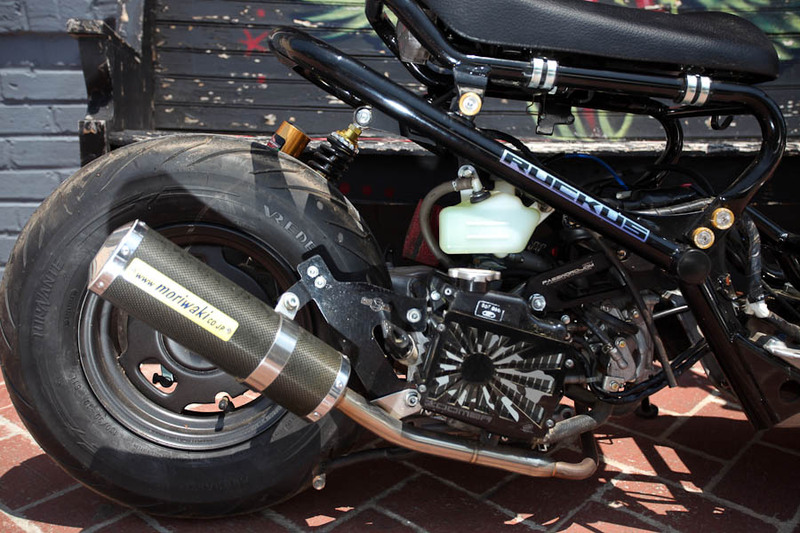 Ruckus is highly modified (lowered, stretched, rare Carbon fiber exhaust, etc). It was also running somewhat bad at the time (needed tuning). Was stolen from a locked/gated yard so I'm guessing there were multiple people most likely with a truck.